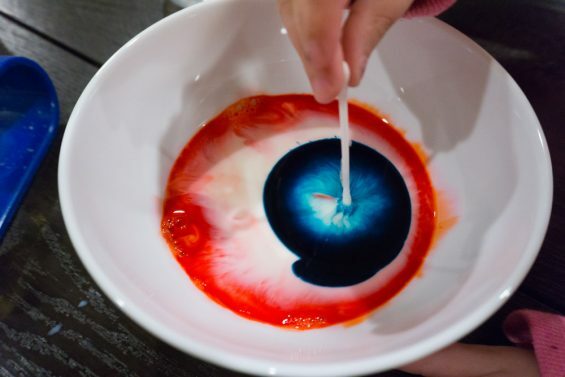 This is a great experiment from our Learning Resources Deluxe Lab Set. 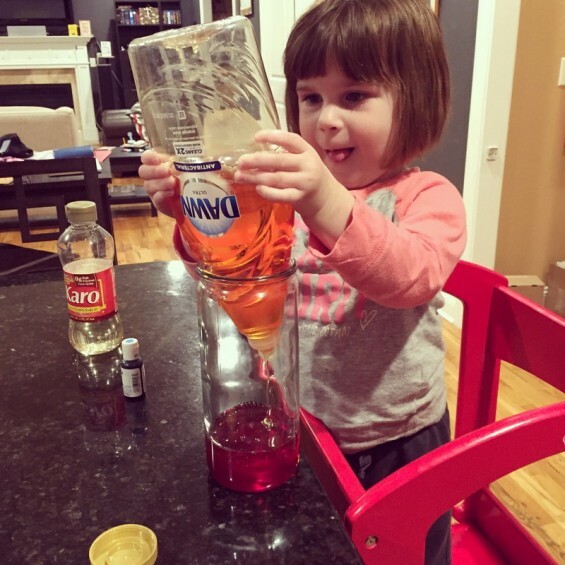 It was quick, it wasn’t too messy, and H thought it was completely fascinating. You’ve got all these ingredients at home already, so this is a great one for a snow day (like tomorrow), a rainy day, or just when you need a quick experiment to do with the kids. Other posts on this project: I’m Quilting Geeky Things. I started this design in January 2015, and I’ve finally finished it! 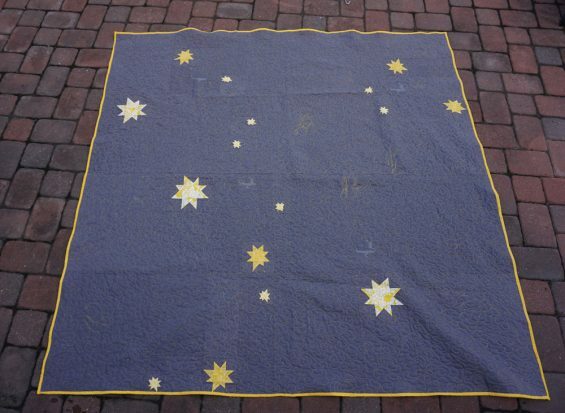 It’s an interpretation of the Andromeda constellation made with three sizes of wonky star blocks. Also, I do not love this quilt. But I just needed to get it finished so I could move on. I’m not good at having UFOs lying around, I like to finish projects. Even if I’m not wild about them, I’m a completionist. We’ve been trying a thing around here, or at least I’ve been trying a thing, to better organize our time. Because I’m not a homeschooler. But…I work. 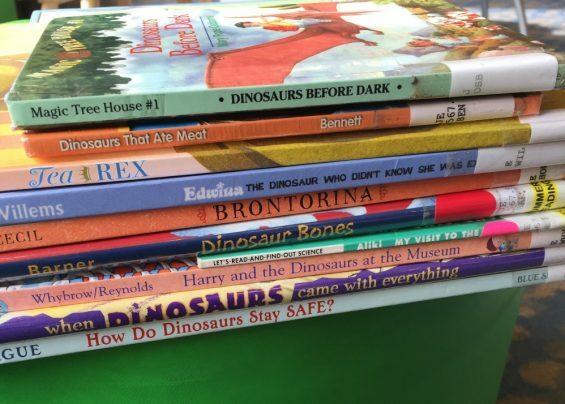 I work at home, I have a child in half day preschool (probably next year as well), I have a child getting 4 sessions of private speech and OT each week, I do not have childcare, I do not want to just park my 5-year-old in front of the TV all day. We took advantage of the crazy heat last week to melt some crayons into cookie cutters to make some fun new rainbow sun crayons. I’ve seen these done everywhere and never tried them, but H thought the colors of the melted wax were pretty neat. She called it “hot lava” and loved the swirls. 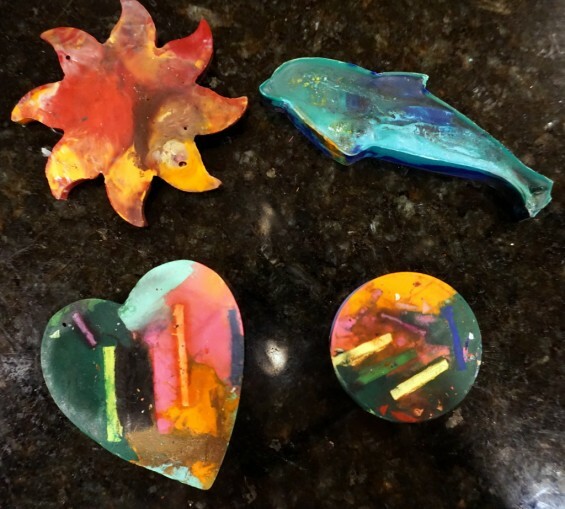 Our latest colorful experiment at home was a Pinterest find from Playdough to Plato. One very cold day last month I gathered up all of these household liquids, my food coloring, and one of my giant Weck jars, and we made science! I’ve sung the praises of Lane Smith before, and now here are two of his collaborations with Jon Scieszka that are pretty neat. 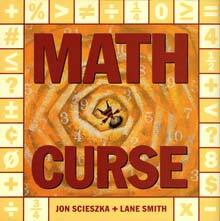 Math Curse is my favorite of the two books in this nonfiction series about school subjects. I wouldn’t be surprised to see more in this series in the future; Science Verse hints at an art class book.